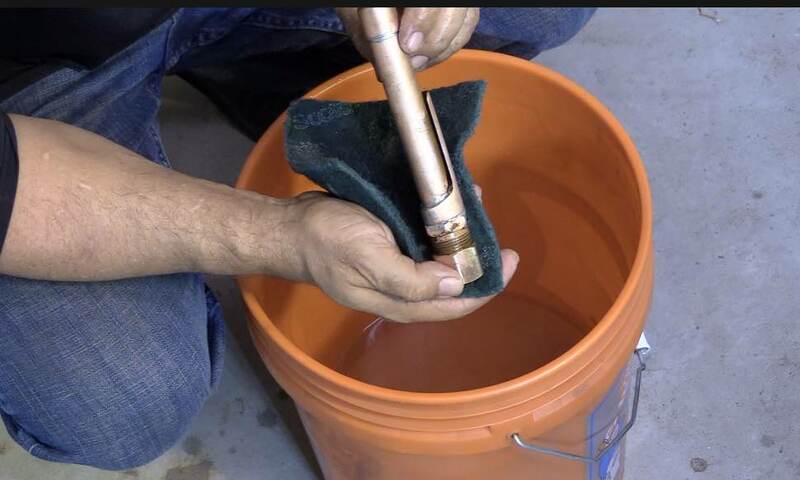 In this video, I made a pocket tungsten holder out of some leftover 3/4" copper pipe. A really simple version of this pocket tungsten holder can be made with a piece of pipe and 2 end caps but I added the threaded fitting on one end to avoid any possibility of dumping sharp electrodes out when crawling around in the field. I started by cutting a piece 6 inches long and then soldering an end cap on. Then I cut the pocket clip by freehand drawing a section of pipe and making the clip part 7/8" wide. The entire pocket clip was around 3 inches long and the part that extends over your pocket was over 2-1/2" so that it will stay put. Then I split the clip and also cut a spacer piece and also split the spacer. I tapped and massaged them lightly with a hammer to make them fit decently and then fluxed and soldered everything together all at once. After soldering, I rinsed in hot soapy water and rinsed the inside with acetone. I also used a cotton buffing wheel with some polishing compound to make a matte finish. Copper will tend to darken and achieve a certain patina anyway so I didnt take the time to get a really shiny finish. since I already had the copper pipe, all I needed to buy were the fittings and I think my total cost for this pocket tungsten holder was around 10 dollars...and I finished the project start to finish in about an hour. 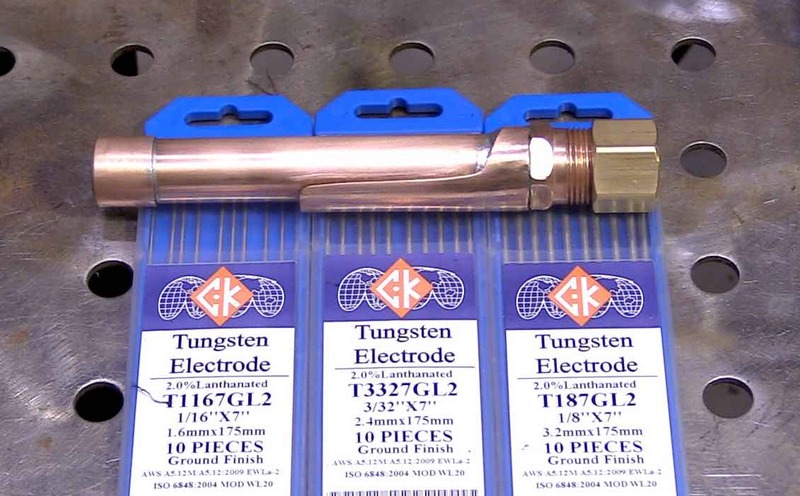 There are many different ways to sharpen tungsten electrodes. and a lot of differing opinions on acceptable ways to sharpen them. I know a lot of great welders who still use a bench grinder with a dedicated wheel. When I worked in the aerospace industry, most welders just used a silicon carbide sanding disc on a small air grinder or a belt sander. Some departments where I worked even purchased nice bench top tungsten grinders but not everyone bothered to use them because there were water cooled and got really messy really fast. Dont get me wrong, the best way to sharpen tungsten electrodes is with a dedicated diamond wheel. But there are many other ways that are almost as good. For most applications, 80 grit or finer belt sanders or sanding discs provide excellent results. 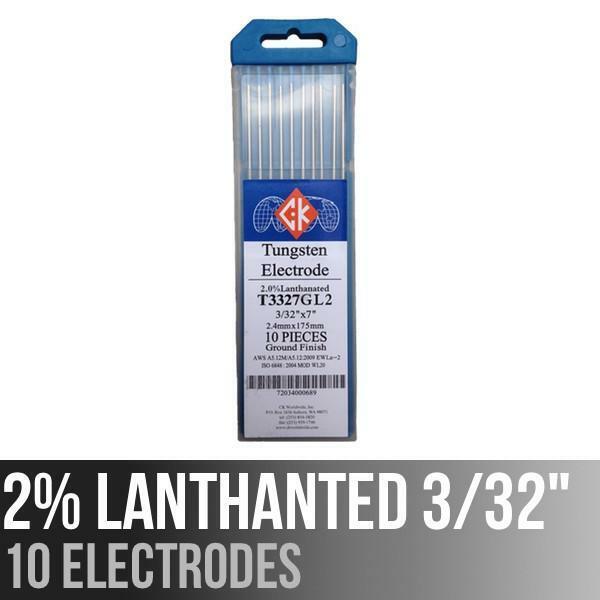 If you have a 200 amp or under tig welder, a 3/32" 2% lanthanated electrode will do 99.9% of everything you need to do. But prepping the electrode either with a needle point, or a more blunt taper will yield different results. 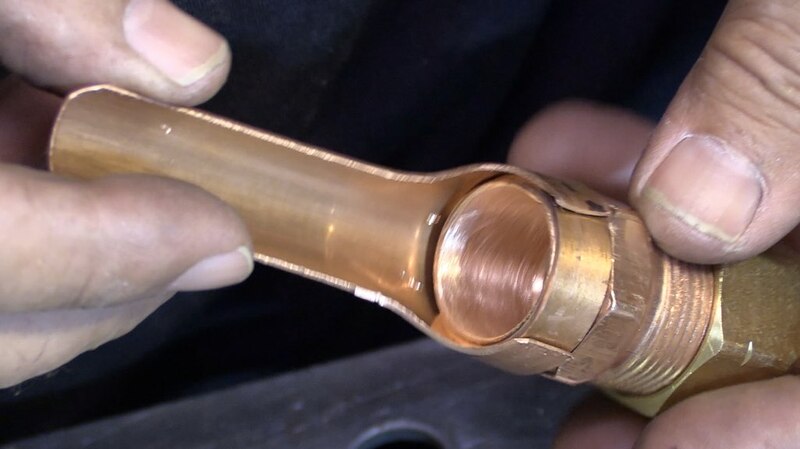 For low amperage starts and really thin metals, a very needle like taper will work well. For higher amperage applications on thicker metal or Aluminum, a blunt taper works great.